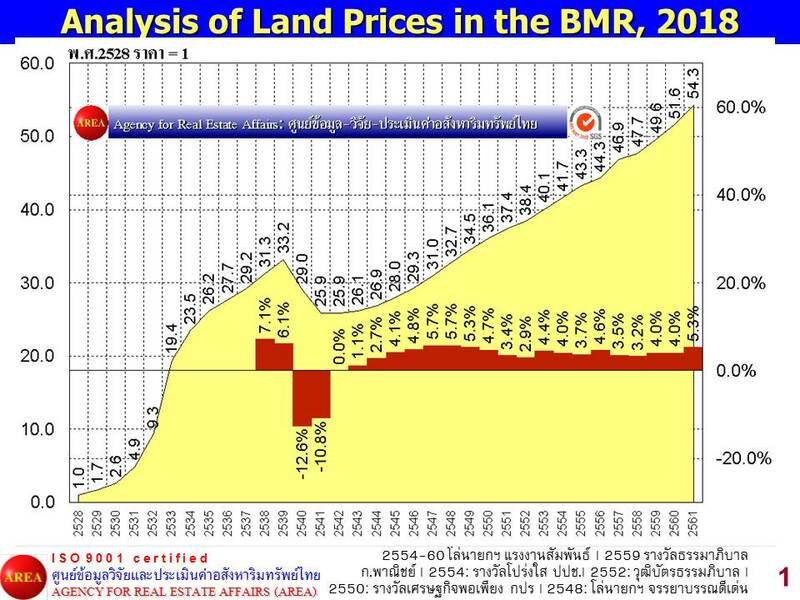 Overview of the chronological changes of land prices in Bangkok, 1994 - 2018 compared to the latest information in Indo-China. Top 10 most expensive locations of land prices and the 10 cheapest locations and the reasons behind those prices. Locations with the quickest speed of increase in land prices during the last 24 years period and vise versa. 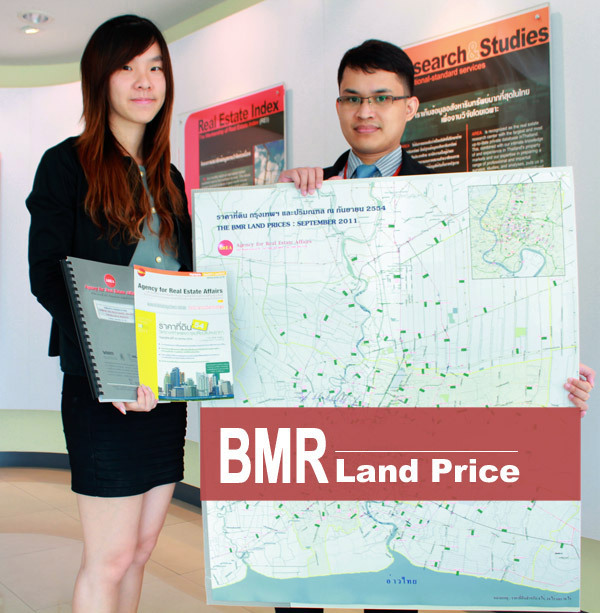 Examples of the comparison between the government-assessed value and the open market value appraised by AREA. Infrastructure development projects which have influenced the significant changes in land prices particularly those planned projects in the future. Transfer the fee to account named "Agency for Real Estate Affairs"